Business owners wear many hats, meaning that you have to balance a multitude of tasks efficiently and effectively. 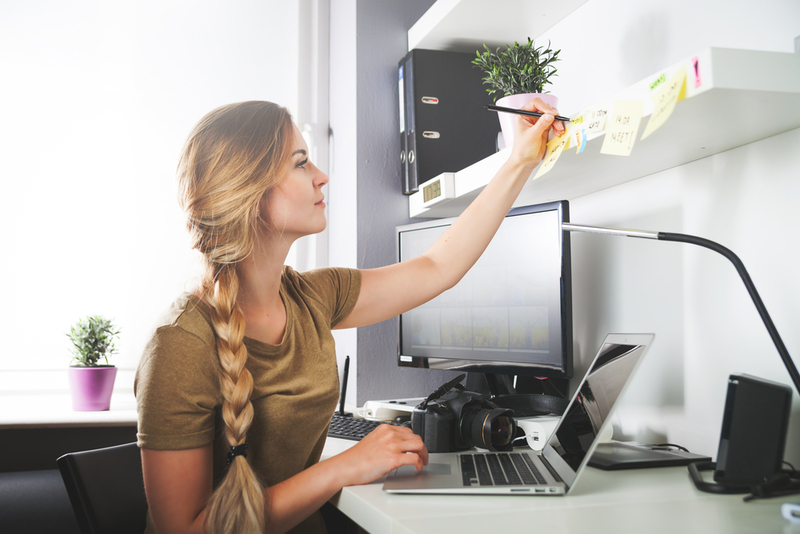 If your business is not properly organized, tasks can pile up, paperwork gets lost, and valuable time is spent on finding information that should be readily available. However, good organizational skills can make or break a business owner, ultimately saving you time and reducing stress. Organizing your business's work space may not be high on the priority list, but it should be. Getting organized can increase your productivity, ramp up your revenue, and cut down on your risks. Here are 5 tips on how being organized can save you money, time, and energy. Stop wading in an endless sea of paperwork and start using a filing system that works, whether it be a digital one or a filing cabinet in your office. Using neatly organized folders to keep track of important bills or emails can save a tremendous amount of time. Good organizational skills can free up much-needed minutes every day, and those minutes can really add up fast! In addition to organizing paperwork, it’s important to organize your time. Doing so allows you to focus on your goals and gain perspective on your priorities. Perhaps consider using a planner, calendar, or digital alerts on your computer or phone to keep you focused and on track. The goal is to find a system that works for you and keeps you on task. Tax time is stressful enough without tracking down important documents. Missing documents can even lead to a legal hassle if your business undergoes an audit. Using basic accounting software to track sales, expenses, and receivables can help you save time and energy during tax time. And don’t forget to file your receipts, invoices, and statements properly, you’ll be glad you did! Organization is the root of a stable financial management program. Without a system that monitors receivables and track cash flow, balances can go unpaid without notice. Staying on top of how much money is going in and out can help you adjust what’s necessary to reduce spending and increase sales. Customer satisfaction is key to earning repeat business. However, if your business isn’t well organized, your revenue will also suffer. For example, if an online store’s order processing system isn’t properly organized, customers may not receive orders on time. Ultimately, poor billing systems can result in customers being overcharged or charged multiple times for items. Being organized affects your customers too! Working in an unorganized environment can take an emotional toll. It can cause employees and customers to feel anxious and overwhelmed. Consider organizing or re-arranging your work space to increase productivity and decrease stress. Not knowing where to look for information, sorting through unorganized paperwork, and dealing with the consequences of poor organization create a stressful workplace. And that stress may extend into the business owner’s life and lead to a feeling of being burned out. Implementing solid organization systems will help reduce this stress and give you more time to enjoy life outside work. At the Long Island Center for Business and Professional Women, we are focused on helping each other by building mutually beneficial relationships and providing you with the education and resources to assist you and your business to skyrocket. Our organization was created to nurture, inspire and empower female leaders in Long Island and the surrounding communities.